February 6, 2018 A certain political speech last week, a couple of days before Groundhog Day, was oddly coincidental with a week of stories either unaware of the subjects’ hubris or calling that vaunting exuberance by its true name, one way or another. Of course, the environmental movement can also be afflicted with greenish irrational exuberance. We excerpt a few from that spectrum, noting which are intended by the editor to be straight stories worthy of attention (But dear reader, never let your guard down! Even in these pages). But first the news. A program on how make comments on the Draft Supplemental Environmental Impact Statement (DSEIS) for the Hakes C&D Landfill Expansion Project, sponsored by the Sierra Club Atlantic (New York) Chapter. The program is designed to assist those wishing to make comments at the public hearing on the DSEIS and the Town of Campbell Site Plan review scheduled for 6:00 p.m. Tuesday February 13, 2018 at the Campbell American Legion Post 1279, 8458 County Route 333, Campbell. DEC is accepting written comments on the expansion project through February 26, 2018. Dr. Raymond Vaughan will be the featured speaker at the program. Dr. Vaughan will discuss his examination of the landfill’s leachate radionuclide analytical test results which were obtained through a FOIL request. His examination of the test results identified high levels of the radionuclides lead-214 and bismuth-214 in some of the results. Dr. Vaughan will discuss the significance of the presence of these radionuclides in leachate samples from the landfill. Other Sierra Club representatives will discuss the process of making comments at a DEC legislative hearing and summarize the status of the recent legal challenge to DEC’s final scoping document for the Hakes DSEIS filed in Steuben County Supreme Court by the Sierra Club, People for a Healthy Environment Inc., Concerned Citizens of Allegany County and three individuals who live near the landfill. SHERMAN — New York residents are hoping to get some support from their Connecticut neighbors as they fight a power plant already being built in Dover Plains, N.Y.
Several New Yorkers who live near the new Cricket Valley plant shared health and environmental concerns about the project at last Thursday’s Board of Selectmen meeting and encouraged Sherman residents to sign a petition or visit their Facebook page opposing the project. The Cricket Valley plant would generate 1,100 megawatts of power using natural gas. The plant was proposed in 2009 and approved by the New York Department of Environmental Conservation in 2012. Construction has started and the plant is expected to be online in 2020. Environmental advocates and residents are concerned the nitrogen oxides, carbon monoxide and volatile organic compounds emitted by the plant will harm their health and the environment. Several speakers noted these chemicals can travel a distance and will harm communities downwind. Sherman is 8 miles from the plant, New Milford is 10 miles away and Kent is 6 miles from the 193-acre site. Some speakers said the emission meet the federal standards, but said those standards are for regions and don’t protect those living directly around the plant. Co-sponsors: Rochester People’s Climate Coalition and First Unitarian Church Environmental Task Force. 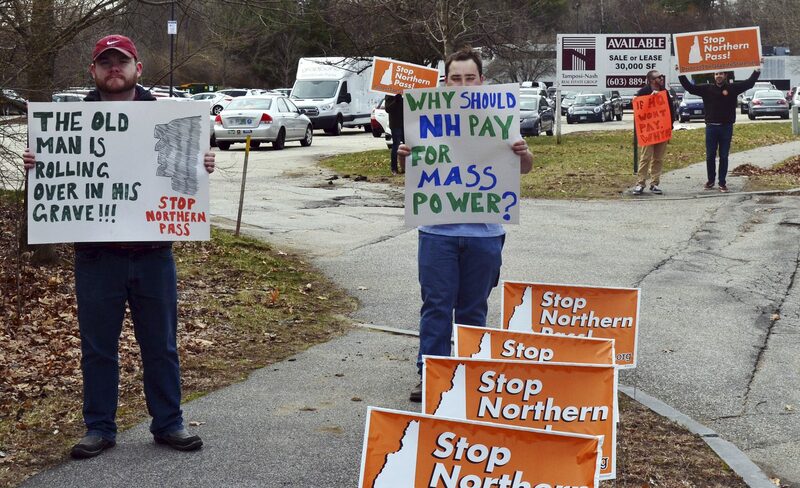 The New Hampshire Site Evaluation Committee on Thursday voted unanimously to deny Eversource’s controversial Northern Pass project a permit. 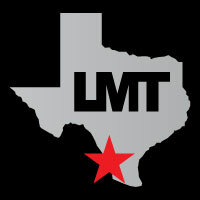 The panel was in its third day of deliberations on whether to let the 192-mile transmission line proposal move forward. They had informally agreed Wednesday morning that they did not feel Eversource, the utility developing the project, had proven the power line would not unduly affect the orderly development of the region. That was one of four criteria the project had to meet in order to get a permit. The committee had only discussed one other criteria so far — the project’s financial and technical stability, which they’d agreed was sound. On Wednesday afternoon, according to attendees, Public Utilities Commission representative Kathryn Birchard moved she and her fellow SEC members vote to deny the project. She argued it couldn’t overcome their concern that it would have an out-sized impacts on land uses and local planning along its route through the North Country and central New Hampshire. Financial analyst Deborah Rogers deconstructs the myth of shale gas economic viability in 2011 talk at at Clarkson University. Financial analyst Deborah Rogers has served on the Advisory Council for the Federal Reserve Bank of Dallas since 2008. She was appointed in 2011 by the Texas Commission on Environmental Quality (TCEQ) to a task force reviewing placement of air monitors in the Barnett Shale region in light of air quality concerns brought about by the natural gas operations in North Texas. She joined a regional steering committee for the Oil and Gas Accountability Project (OGAP) in 2011 with responsibility for economic questions. Ms. Rogers got involved in natural gas when she learned that an energy company planned 12 high impact wells next to her property, Deborah’s Farmstead, a nationally recognized artisanal cheese-making dairy. Her website, Energy Policy Forum (http://energypolicyforum.com/), discusses the complex problems inherent in shale gas. In September 2011, New York State issued a second draft generic environmental impact statement, as well as proposed regulations to guide hydro-fracking drilling in New York. The comment period is still open, so New Yorkers need to inform themselves on this issue and make their views and concerns known to the Department of Environmental Conservation. First, let’s take a look at some interesting graphs done by the Bloomberg Gadfly. The first chart below shows how the U.S. shale industry continues to burn through investor cash regardless of $100 or $50 oil prices [click link to the whole article, below, to view charts]. WASHINGTON (Reuters) – U.S. President Donald Trump’s decision to withdraw federal protections from millions of acres of Utah wilderness will reopen much of the iconic terrain to gold, silver, copper, and uranium land claims under a Wild West-era mining law, according to federal officials. 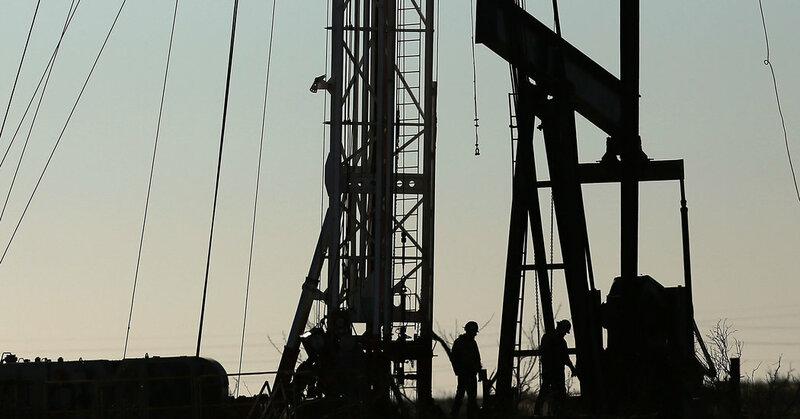 HOUSTON — Exxon Mobil announced on Tuesday that it would triple its oil and gas production in the nation’s hottest shale field by 2025 in the newest sign that the boom in national crude production is gaining momentum. The company cited the recent reduction in the corporate tax rate as one reason for its increased interest in investing more in the Permian Basin, which straddles West Texas and New Mexico. It is also a logical sequel to its acquisition of 275,000 acres of Permian fields in New Mexico from the Bass family of Fort Worth last year for up to $6.6 billion in stock and cash. Despite American sanctions against Russian natural gas producers, a cargo of liquefied natural gas that was most likely produced at Russia’s Yamal plant arrived in Boston this past weekend. This development would seem to fly in the face of the sanctions imposed by President Barack Obama in 2014, though those restrictions apply to the financiers and producers of Russian oil and natural gas, not the output. But the arrival of the gas in the Northeast after frigid temperatures does raise questions about whether President Trump’s efforts to pursue American energy dominance in the world are falling short. The journey of this liquefied natural gas from the Yamal Peninsula in northern Siberia to Boston may at first appear like a well-orchestrated move from the Kremlin playbook to hide what might be an embarrassing delivery for the United States. 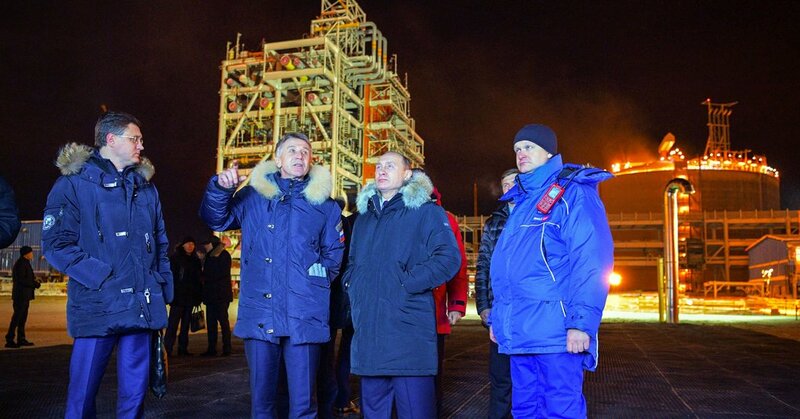 On Dec. 8, President Vladimir Putin oversaw the opening of Yamal L.N.G., Russia’s second liquefied natural gas plant. The project was personal for Mr. Putin for several reasons. …If the United States plans to continue imposing sanctions on Russia and its energy sector, it should consider how to approach output from projects like Yamal L.N.G. This is because the original source of such gas will become increasingly difficult to determine as the trade becomes more global. The gas can be loaded and unloaded multiple times and its carrier redirected to various destinations while at sea. A decade later, Mississippi is one of the fastest-growing solar markets in the United States, according to GTM Research. The state’s public service commission approved several solar projects this summer, and the state is expected to gain more than 700 megawatts of solar capacity over the next five years. One of its newest projects is a 52-megawatt solar farm near Hattiesburg. A partnership between Mississippi Power, the state’s largest utility, and Silicon Ranch, a solar energy company based in Nashville, Tennessee, the 450-acre solar farm will eventually power 6,500 homes. It’s a good question, but it seems too narrow: “Is Western civilisation on the brink of collapse?”, the lead article in this week’s New Scientist asks. The answer is probably. But why just Western? And That’s A Wrap! Thanks to everyone who sent in news, action announcements and comments this week. Send kudos, rotten tomatoes and your story ideas, your group’s action events, and news of interest to intrepid climate change and environmental justice warriors! Send, along with fresh oranges, to editor@thebanner.news.